Join us for a screening of Drokpa, followed by a talkback with Director Yan Chun Su. Set in the high plateau of eastern Tibet, Drokpa is an intimate portrait of the lives and struggles of Tibetan nomads whose lives are on the cusp of irreversible change. The grasslands of the Tibetan plateau are home to the source of Asia’s major rivers. Half of humanity depends on this water for survival. Tibetan nomads, known as DROKPA have roamed on this land for thousands of years. In recent decades, these once lush grasslands are rapidly turning into deserts. 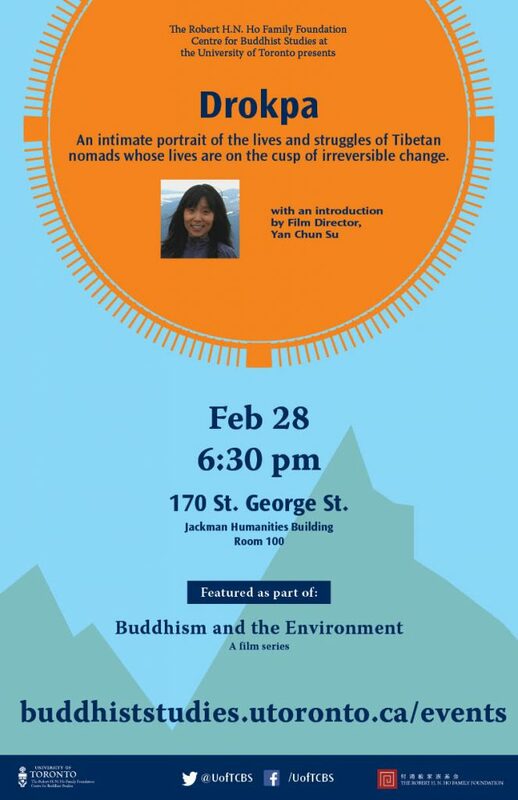 With rare access to an extended nomadic family living at the center stage of this drastic and historical change, Drokpa reveals the unprecedented environmental and sociopolitical forces that are pushing the Tibetan nomads to the edge of their existence. Richly observed daily lives and family relationships are at once deeply personal and illustrative of the universal issues of gender, freedom, adaptation to a changing climate and the resilience of human spirits.